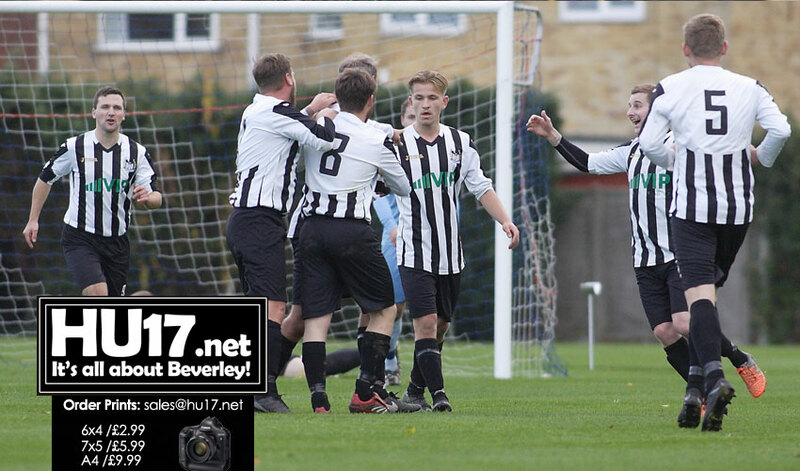 Beverley Town Football Club suffered a 4-0 defeat in their first game back at the Norwood Recreation Ground. On a day that was supposed to be a celebration for the club, the efforts put in off the field were not matched on the pitch. Town were always second best in this game. From the off, they struggled to string two passes together while their Westella& Willerby played with a real conviction. Alex Stark was leading Beverley’s line on his own. Feeding off scraps the forward never got a sniff of goal in the first period. Westella took the lead early on with a 20 strike from outside the box. They added a second before the break with a free kick that sailed past towns outstretched keeper. Town started the second half how like they did the first. Right from the kick-off, they gave the ball away, summing up their afternoon perfectly. I took town almost 50 minutes of play before they had their first shot on goal which flew high and wide. This singled the start of Beverley’s best spell in the game, yet they only managed to test the Westella keeper once. Any hopes that town could salvage something from the game were soon dashed. Westella extending their lead with a fantastic effort that was curled into the top corner. While town tried to play for some pride it was the referee who made the biggest howler of the game. As Westella broke their player tripped a town defender but the play was allowed to go on to the dismay of the players and supporters. It led to the simplest of chances that were gratefully taken by Westella confirming what everyone already knew. Beverley Town was going out of the cup. Manager Rich Jagger’s horror of an afternoon was compounded when Dan McHale was shown a second yellow card and sent off. Jagger will be hoping his side can put this result and performance behind them. Next week Beverley will face Sculcoates Amateurs, a side who have traditionally done well at Norwood.